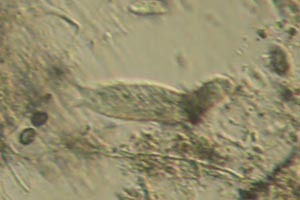 This was taken from a large puddle in a sunny field where the snow had completely melted. 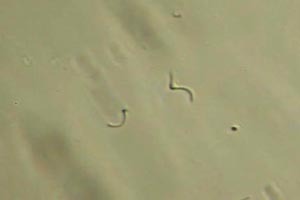 The grass here was long and dry, forming small clumps or tussocks, and the water itself had turned brownish. 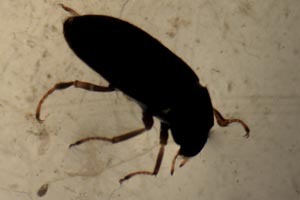 A number of pieces of straw were also taken, and apparently a water beetle, though it was not evident at first. 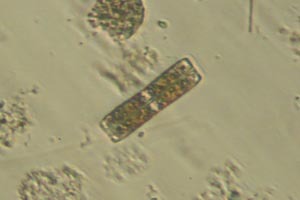 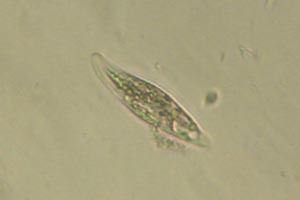 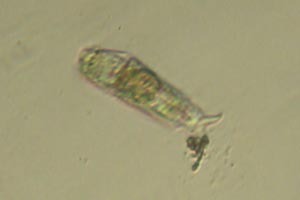 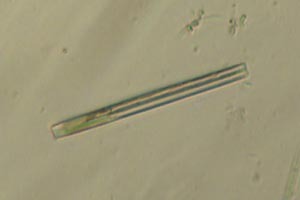 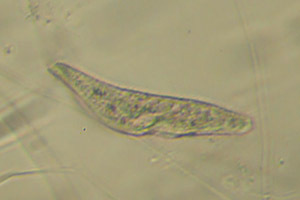 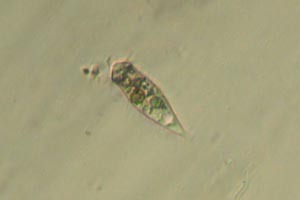 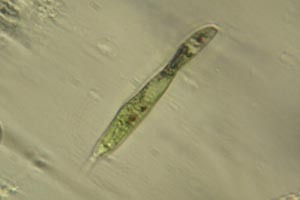 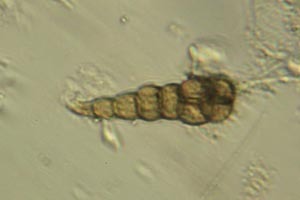 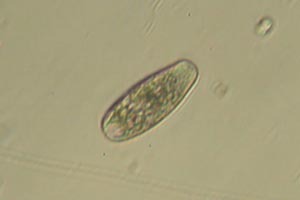 Throughout the sample there were many longer and shorter spirilla, bdelloid rotifers, Stylonychia and similar spirotrichs, and small green euglenids. 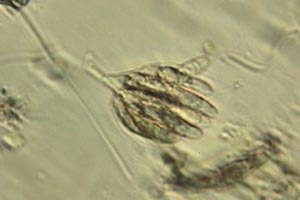 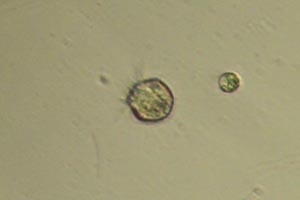 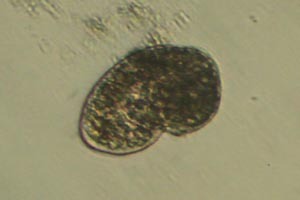 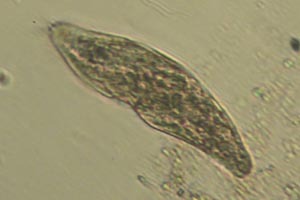 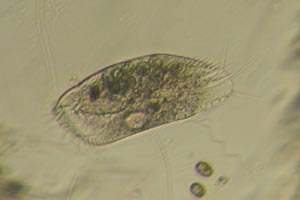 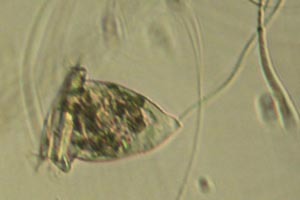 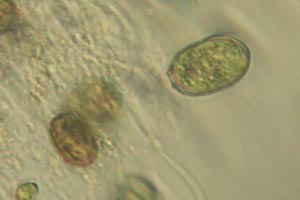 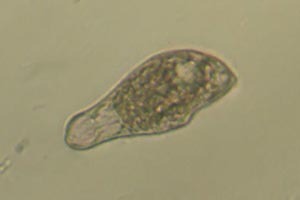 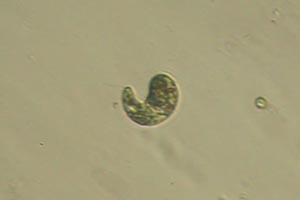 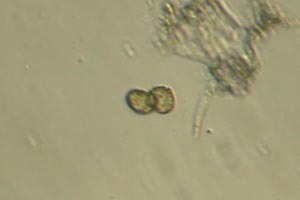 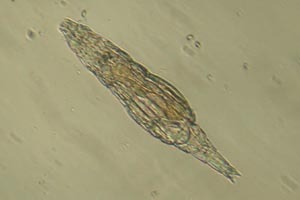 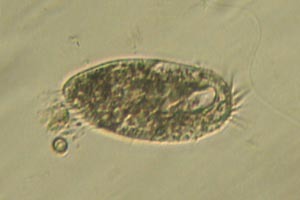 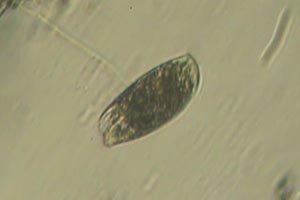 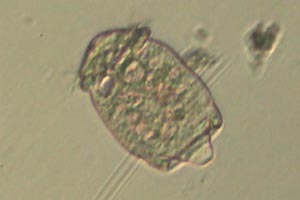 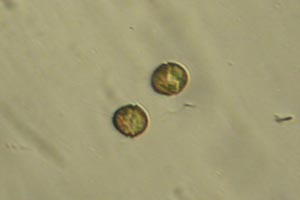 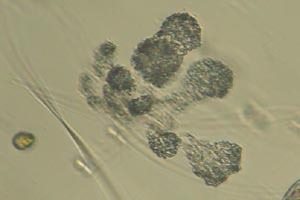 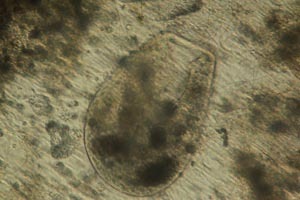 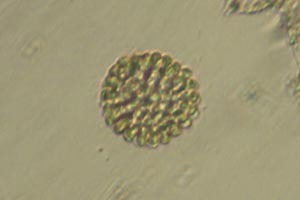 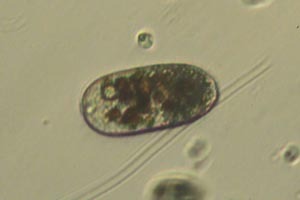 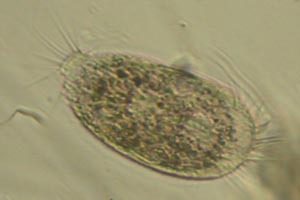 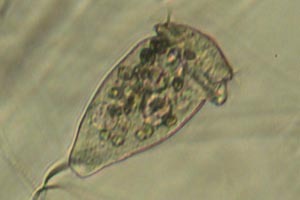 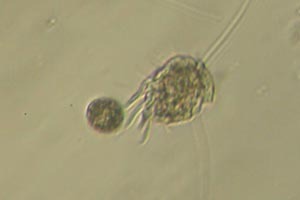 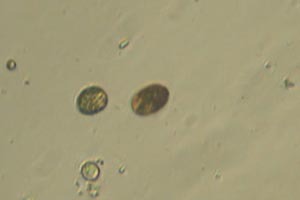 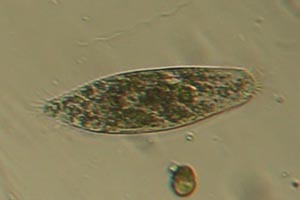 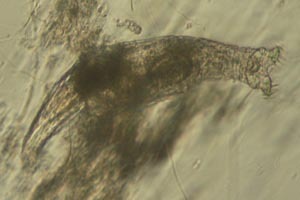 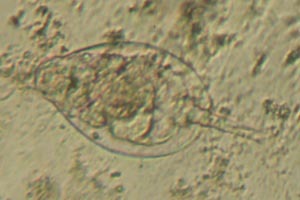 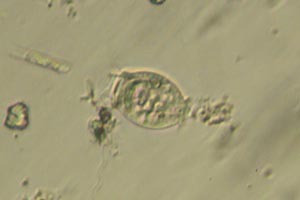 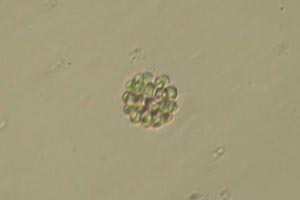 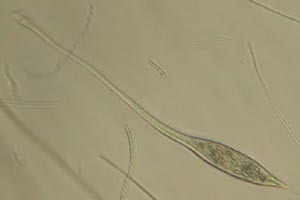 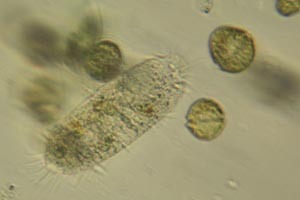 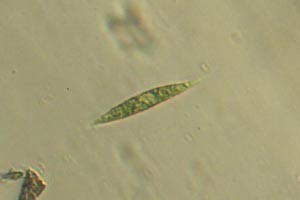 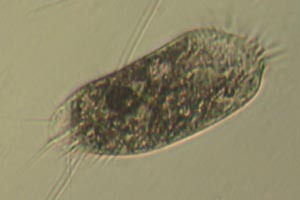 Initially there were also many golden Uroglenopsis and dinoflagellates. 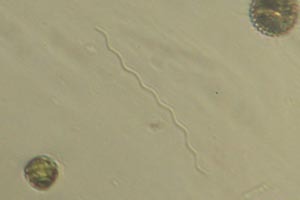 After a day the latter had congregated on the side facing the light, forming a greyish cloud near the surface. 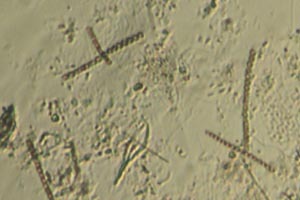 By the fourth day there were few algae and films began to form on the surface. 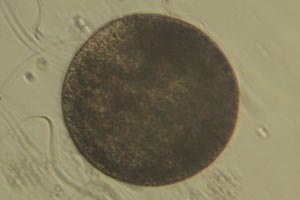 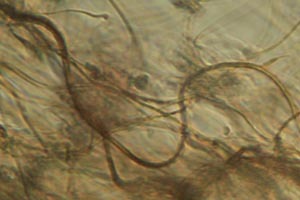 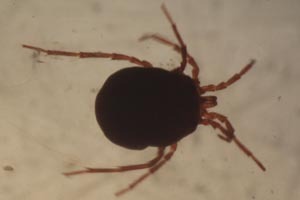 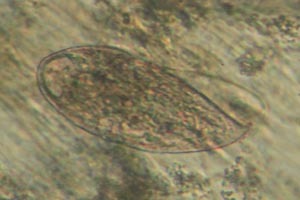 These contained clumps of brownish vein-like filaments, and whitish regions with many small moving spheres. 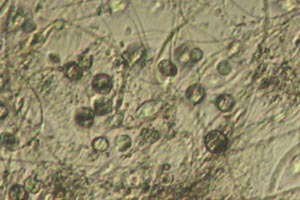 Many bell-shaped sessilids had settled around them, but most were telotroch-like and few had any sign of a stalk. 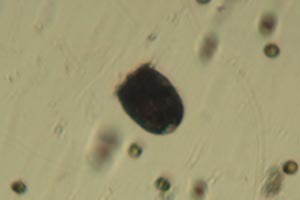 Astylozoon were also plentiful here. 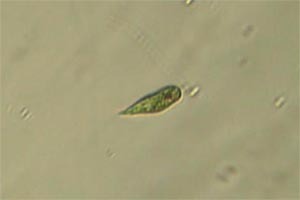 Bursaria occurred both on the films and swimming below them. 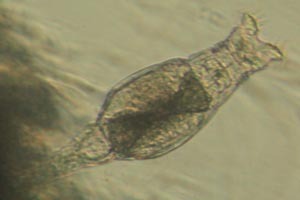 The latter could be seen as moving specks and I caught some in a watch-glass, but they mysteriously dissolved a minute later, while the ones on the films could be kept safely. 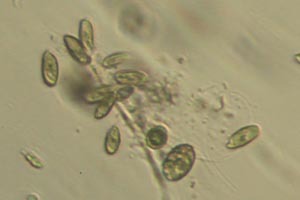 They were accompanied by some brownish colpodids and pinkish Blepharisma. 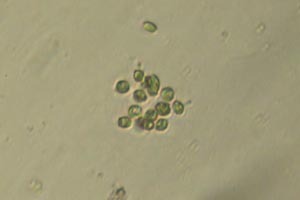 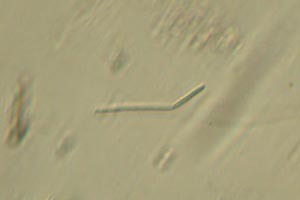 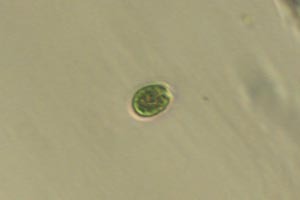 ↬ Thanks to Bruce Taylor, author of It Came from the Pond, for the identification of Stichotricha, and to him and Dr. William Bourland for confirming the likely identification of Bursaria truncatella.